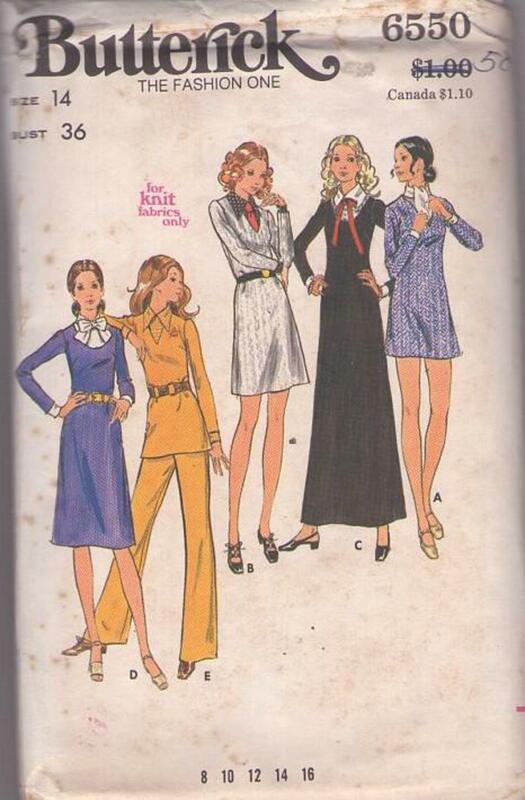 70s Knits, Retro Office Clothing Patterns - MISSES' DRESS, TUNIC, PANTS & DICKEYS: Semi-fitted Aline dress in 4 lengths or tunic has full length sleeves and V or U-neckline. Straight legged pants have elasticized waistline. Dress, tunic & pants for knits only. Purchased belts. Detachable cuffs & dickey variations.